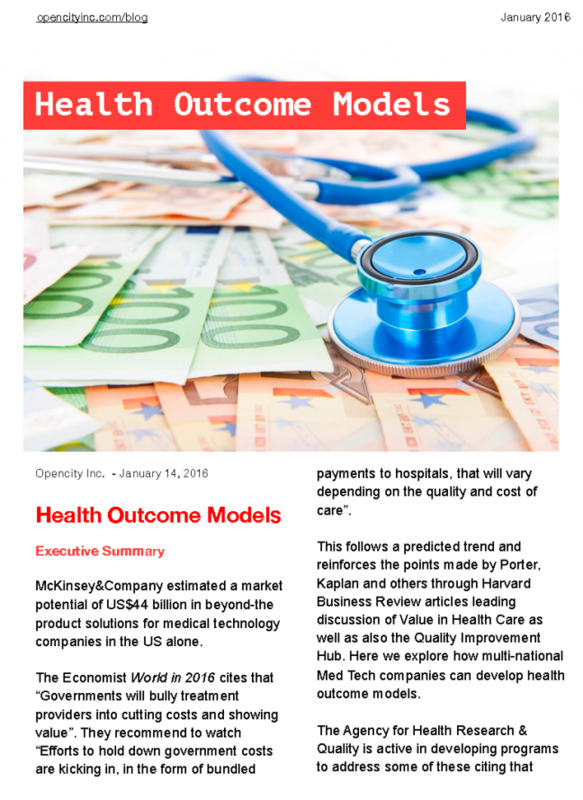 Continuing our series of posts on health outcome models and value in measuring healthcare we have developed this white paper to explore in greater depth. This white paper has been specifically written for those Med Tech or pharmaceutical companies seeking to gain deeper, broader relationships with executive healthcare decision makers through outcome partnership programs. Where to start building health outcome models – 8 pointers to take the plunge. As the 2015 McKinsey&Company post emphasized there is great value that these beyond-the-product solutions can bring to Med Tech companies, the healthcare system providers and patients.